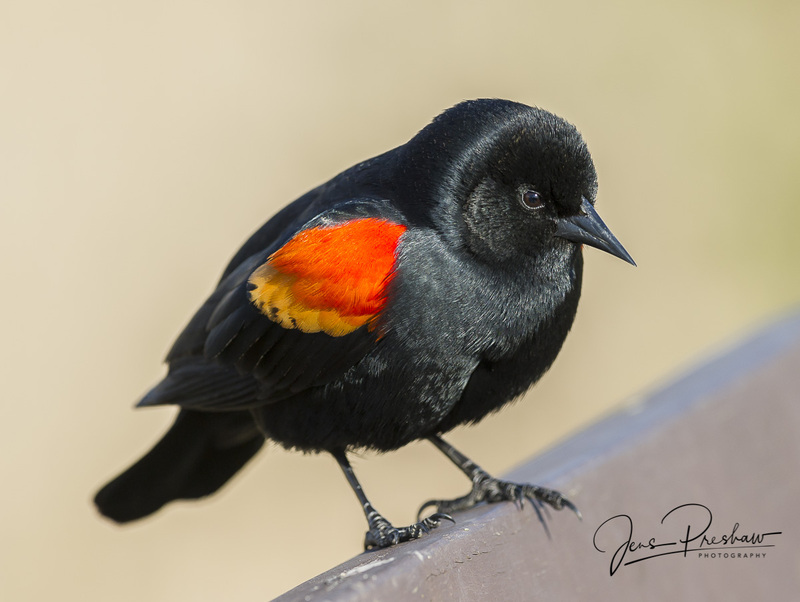 The Red-winged blackbird is best known for the males’ distinctive red shoulder patches called epaulettes. It is believed to be one of the most numerous land birds in North America. The male will aggressively defend its territory during breeding season against intruders. This particular bird was a little annoyed by me and my camera. Click on the image to see a larger version. This entry was posted in Birds, British Columbia, Spring, West Coast, Wildlife. Bookmark the permalink.